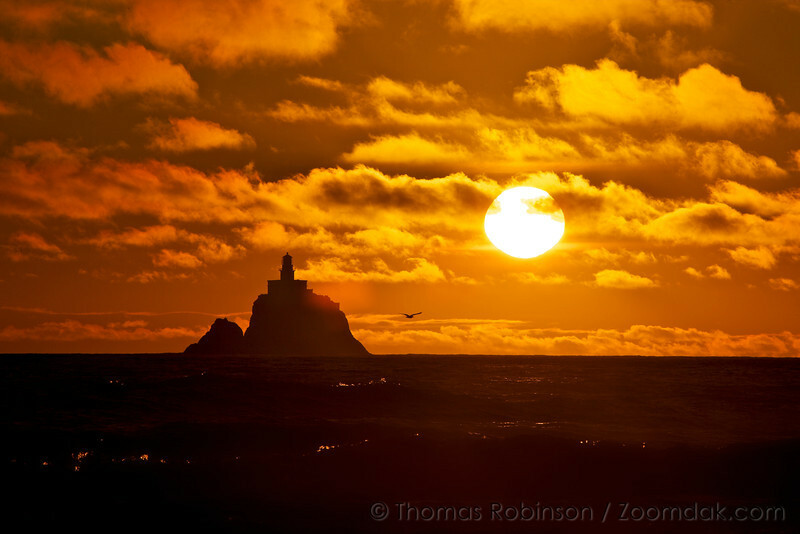 Tillamook Lighthouse, "Terrible Tilly" stands silhouetted at sunset with the full disc of the sun glowing above it. Tillamook Lighthouse was first lit on January 21st, 1881. Deactivated in 1957, it now serves as columbarium.